Rockville Town Center, also referred to as Rockville Town Square, is a mixed-use development that includes condos/apartments, retail stores, restaurants, the Rockville Library, and the Rockville Arts and Innovation Center. The revitalization of this section of the City of Rockville has created a pedestrian friendly gathering place and an ideal space for public events such as farmers' markets, concerts, and community festivals. Rockville Town Center is located just west of Rockville Pike (Route 355), bordered by Beall Avenue to the north, East Middle Lane to the south, North Washington Street to the west. To reach the area from I-270, exit at Route 28 and follow signs to Rockville Town Center. 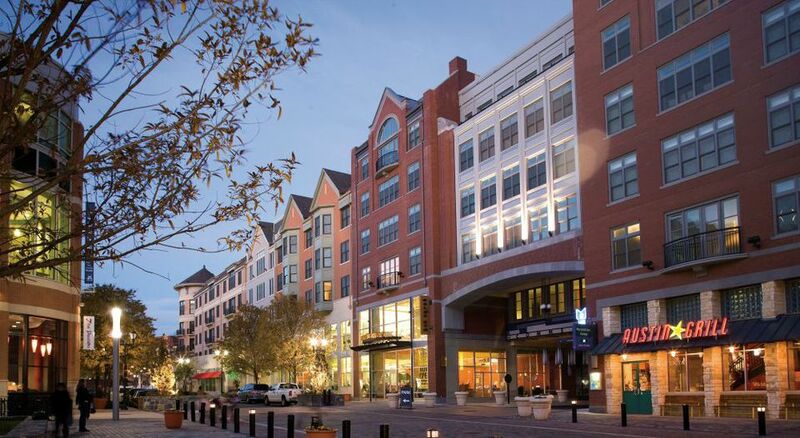 Rockville Town Center is conveniently located within a 10-minute walk from the Rockville Metro Station. Approximately 1,000 new public parking spaces use a pay by space system that allows users to pay at pay stations located on every level of the three garages. Most of the shops at Rockville Town Center are small boutiques offering unique gifts and services. The Arts and Innovations Center serves as a community center and the home to the Vis Arts, a venue for art classes, exhibits, and shows. The Rockville Library offers state-of-the-art facilities and a huge collection of books and audio/video materials. Regal Cinema is within walking distance to Rockville Town Center. During the winter months, families can ice skate at the outdoor Rockville Town Square Ice Rink. Free WiFi access is available to the public in the outdoor areas of Rockville Town Square including the public plaza and will soon be available along the streets within Town Square (Maryland Avenue and Gibbs Street). Users can connect to the network by selecting the Ricochet WiFi network through their wireless device. Rockville Town Center is managed by Federal Realty, a recognized leader in the ownership, operation, and redevelopment of high-quality retail based properties located primarily in major coastal markets from Washington, DC to Boston as well as San Francisco and Los Angeles. Federal Realty’s 89 properties include over 2,600 tenants, in approximately 20.2 million square feet of retail space, and 1,500 residential units.